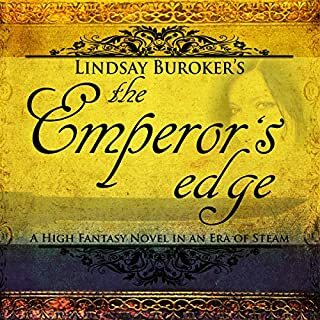 I have been enjoying the Emperor's Edge Ms Buroker, unlike many of today's "writers" who write episodic books with no ending in the Who Shot JR Style, knows how to write a compelling story. Each book has a beginning, Main Story Line and Ending. I enjoy the way Ms Buroker develops the characters in the series. She builds a little in each book to expand the personality of the character. VERY engrossing! ! Have been reading them fast! Lucky for me there are numerous books in tjis series! great author! Other series are equally enjoyable! 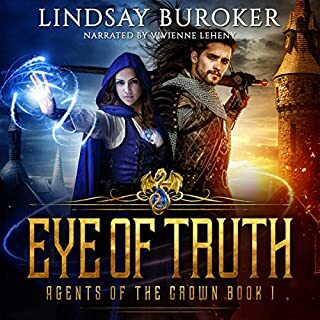 I love Lindsay Buroker's adventures, and I can always count on a good, entertaining ride. I didn't give this book five stars only because it took so long to really draw me in, and I could have put the book down a few times. I did, in fact. I also think some of the repartee took away from the story, didn't add anything new, and slowed things down too much. I read part of it and listened to the audio as well. I really dislike the way the audio narrator does the Maldynado voice. It's way too pretentious. I found myself making faces every time I heard it. Not the good faces. The rest of it, though, was very well done. I loved the first books in the series and have some other Buroker novels I can't wait to get into. She's definitely one of my favorite authors. What didn’t you like about Starla Huchton’s performance? She made the heroine Amaranthe a snot and Maldynado sound very gay, which not have been a problem if he had been. That's all the farther I listened, just a few pages because I couldn't stand it. She was ruining a good story. This is a great book. Save yourself the trouble and don't get 'professional' narration. I recently finished reading the kindle versions of book 1 and 2 – As I started book 3 I got sick. 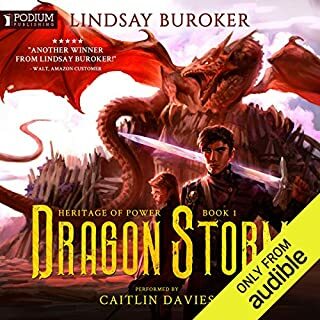 I was pleased to see the audio version of the book available at a reduced cost because I owned the kindle version already. 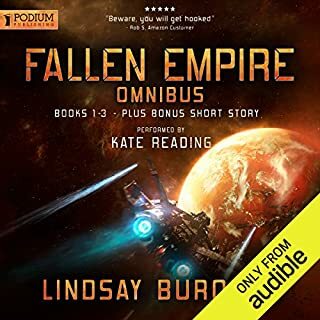 The first 3 books in this series are entertaining with an interesting world setting that mixes sci fi, steam punk and mystery together to make a wonderfully enjoyable read. 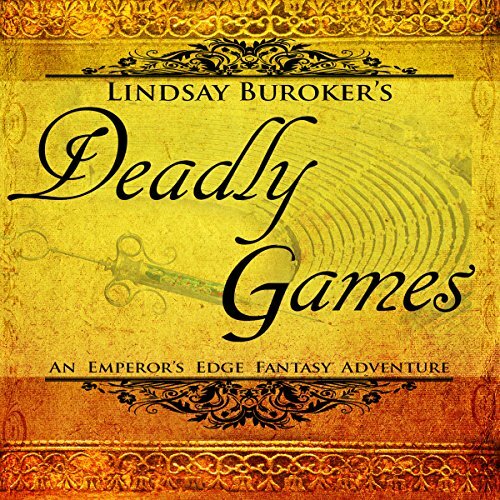 In this book, our unlikely set of heroes are looking into the disappearance of men and women in the Emperor’s games. As things are likely to do, matters go from bad to worse before everything works out in the end. 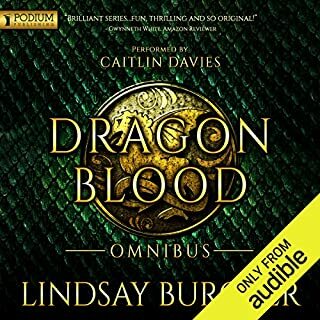 I must say the last chap is my fav – the entire garden scene is breath taking, such a tease but it will make me buy the next book to see what happens next. 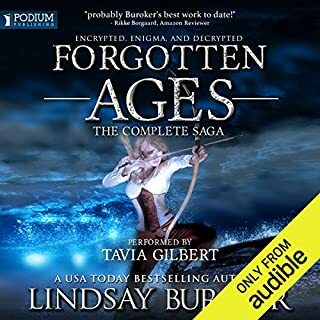 Regarding the Narrator - I wasn't sure I was going to like Starla Huchton's reading of the story - mainly because I had voices in my head already for the characters from reading the e-versions of the first two books, but it didn't take long for me to really enjoy listening to Starla's work. The over arcing story progresses nicely. The characters grow and evolve. A nice revelation is made. Get this book. I love the way she brings out each individual character, and the Audible sighs and groans when the difference between thoughts and spoken words. This is exactly how I imagine amananth and Starla really brings the characters to life. A flawless performance every time.